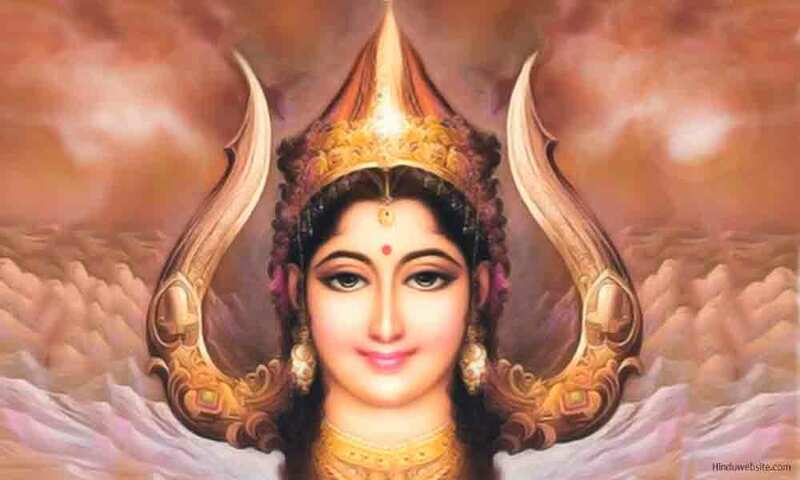 Shakti, the Mother Goddess, is the all pervading energy principle in the universe. She goes by many names such as Uma, Parvathi, Prakrithi, Devi, Durga, Chandi, Lalitha, Kali, Isvari, Mahesvari, and so on. She has both manifested (sambhutha) and unmanifested (asambhutha) aspects. In her manifested aspect she executes the will of God to bring forth the worlds and beings by differentiating herself into multiple realities and triple modes (gunas). The world is her field in which she embodies the souls with gross and subtle materiality and binds them to the cycle of births and deaths. She is the source of delusion and ignorance (maya) whereby beings cannot perceive themselves as eternal souls, or the world as a mere projection or illusion. Also, she is responsible for the modifications in the world, desires and attachments, and evolution of forms. Hinduism has a long tradition of worshipping Mother Goddess. In some sects she is equated to the highest supreme Being and the ultimate reality, while in some she is considered dependent, but eternal. The following are important prayers address to Shakti, Mother goddess, and her numerous forms.